François Jégou is a strategic design consultant with a degree in industrial design and teaches as visiting professor at the Politecnico in Milan and La Cambre School in Brussels. He runs the consultancy SDS, specialising in co-designing scenarios and new product-service system definition, sustainable design, interaction design, cognitive ergonomics, senior friendly design and innovation in food products. SDS is active in several EU research projects. Ezio is Professor of Industrial Design at Politecnico di Milano, is Director of the Research Unit Design and Innovation for Sustainability and coordinates the Masters in Strategic Design and Doctorate in Industrial Design programmes. He works on strategic design and design for sustainability, with a focus on scenario building and solution development. He has written several books including Product-service Systems and Sustainability. Opportunities for Sustainable Solutions, with C. Vezzoli and Sustainable Everyday with F. Jegou. Alok b. Nandi is active in cross-media design, concept, scenario, information architecture, interaction design, articulating space and technology, mixing internet with different communication channels: in publishing, exhibitions and festivals. Adviser to projects (R&D, EU), companies and institutions, with a focus on innovation and change. Professor/lecturer and speaker. Background combines engineering, management and cinema studies. Anna Meroni is a research consultant and visiting Professor in product-service systems for the Industrial Design department at Politecnico di Milano. She is an architect and designer, has a PhD in Industrial Design and collaborates with universities, research centres and companies on design research and strategic innovation projects. She publishes and lectures widely on design and system innovation and has been consultant and project manager for design exhibitions. 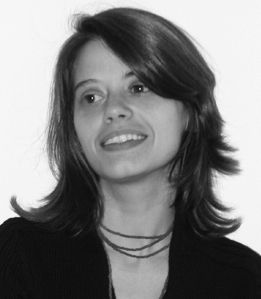 Carla Cipolla is a research consultant with a PhD in Industrial Design from Politecnico di Milano / INDACO – Italy, and Master of Science (MSc.) in Production Engineering from Federal University of Rio de Janeiro / COPPE – Brazil. Her work is on Service Design with a focus on sustainability, social innovation processes and entrepreneurship promotion. She has been involved in many international research projects and events. Her main research interest is in the theme of quality of interpersonal relationships in services. Lara Penin is a research consultant on Design for Sustainability with a focus on Strategic Design and Sustainable Social Innovation. She holds a PhD in Industrial Design from Politecnico di Milano/INDACO and a BA in architecture and urban planning from University of São Paulo, Brazil. She has been involved in many international researches and projects, and has lectured in Europe, Asia and Brazil. Miaosen Gong is a PhD candidate of program “Industrial Design and Multi-media Communication” and studies in the unit of research Dis-Indaco (Design and Innovation for Sustainability). His research topics focus on Strategic Design for Grass roots Social Innovation, especially those about everyday life towards sustainability in the context of China. He had a Master Degree in Strategic design in MDS7 of Poli.design. Before that, he was a lecturer and researcher in School of Design (SYTU) with a bachelor and a master degree in industrial design. He also was involved into Wuxi National Industrial Design Park and Wuxi International Industrial Design Expo& Week as an international coordinator and consultant. Adèle Seyrig is trained as a designer and has a master’s degree in local development project management. She specialized in the implementation of design tools and methodologies for institutions and local projects of development. Through consulting and supporting various projects, she has developed her experience working on issues ranging from the renovation of public action to new sustainable food system, rural development or social innovation. 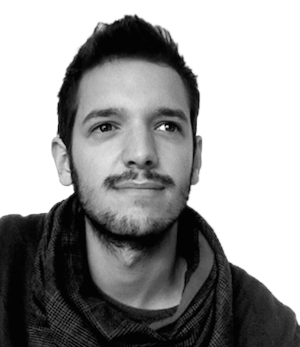 Project manager at Strategic Design Scenarios, Christophe studied industrial product design and responsible innovation and received his Master from The École de Design Nantes Atlantique, Nantes, France. His focus is on sustainable and social innovation, collaborative and participative scenario building, prospective visions (prospective scenarios of future sustainable ways of living) and service design. He is working on various projects of public policy design and public innovation with regional authorities, ministries, etc.